Lectern with curved frontpanel Beautiful lectern made in real wood veneered MDF. 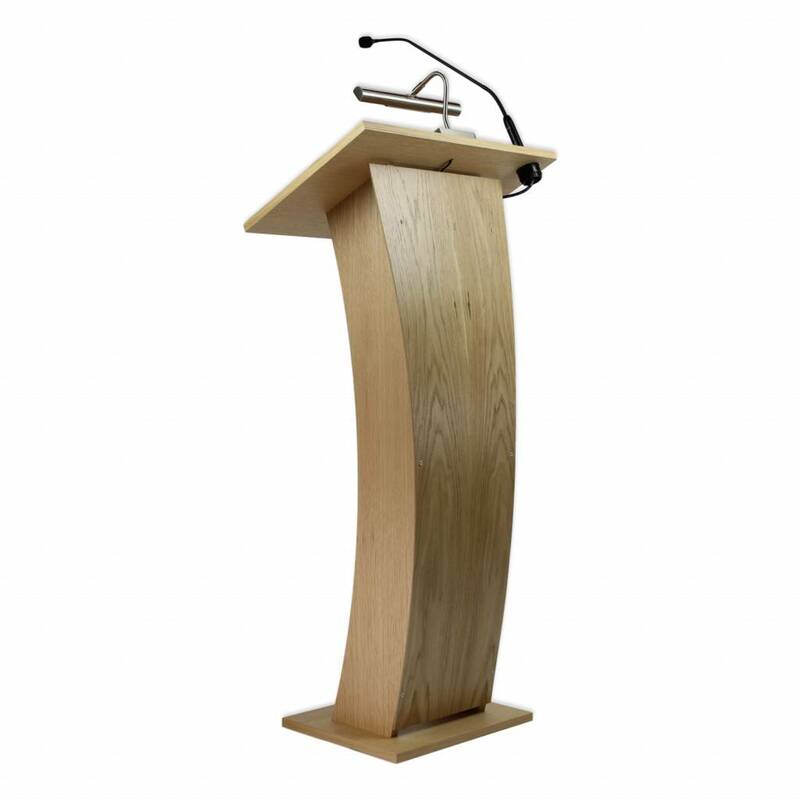 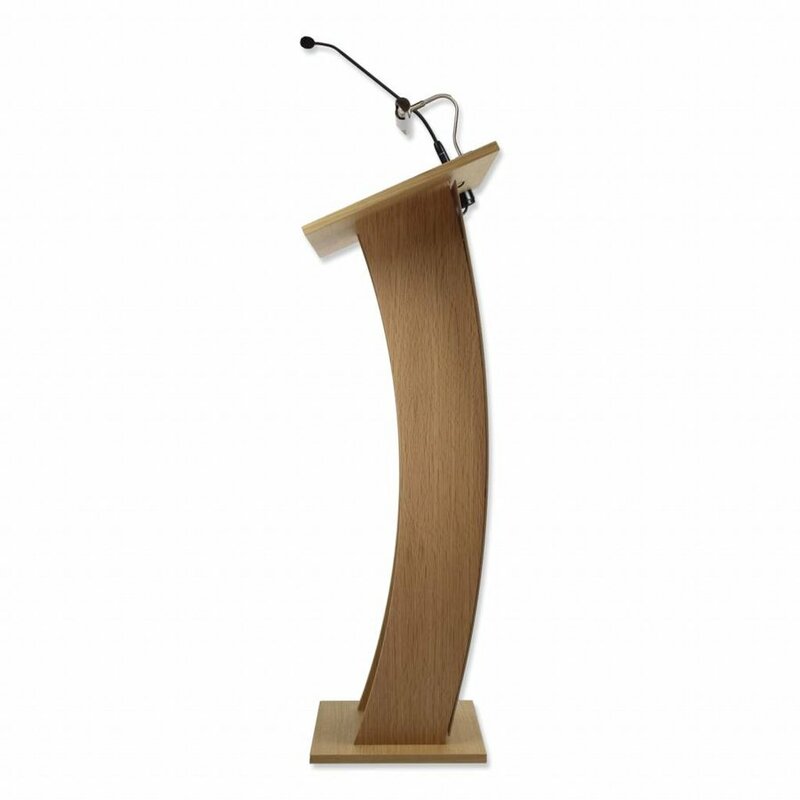 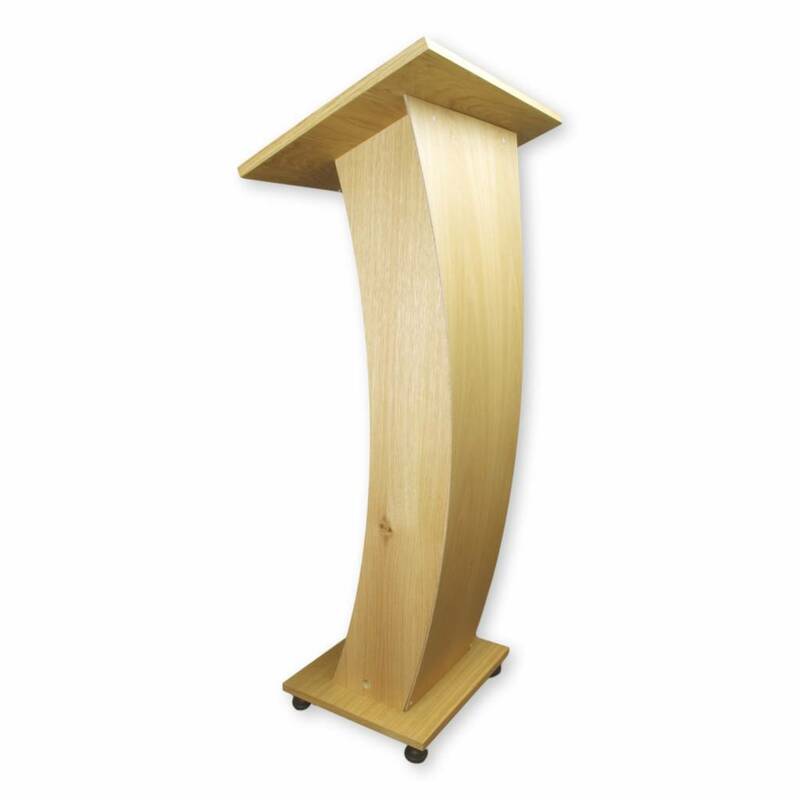 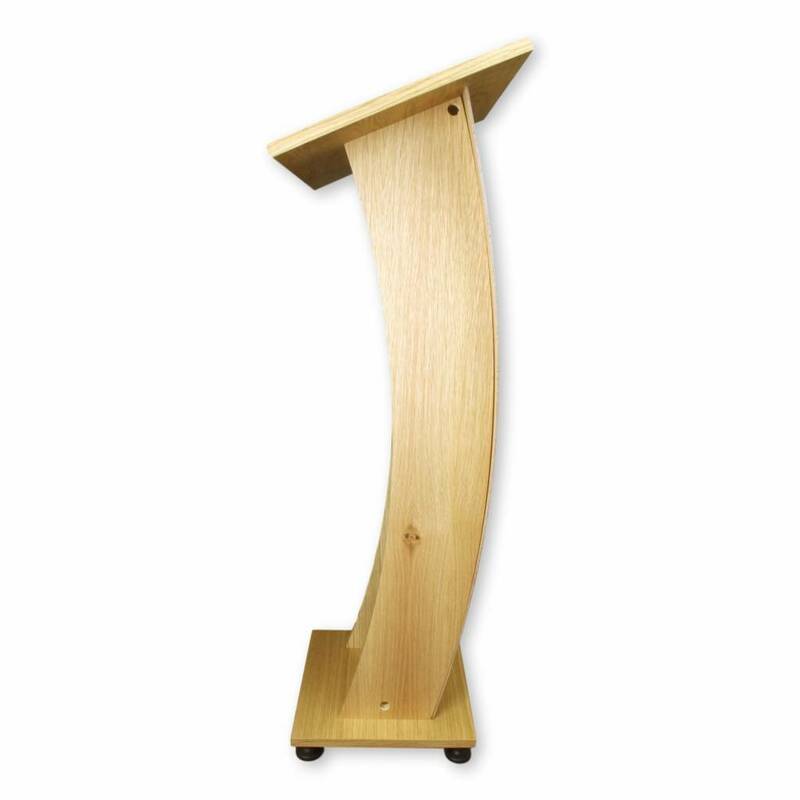 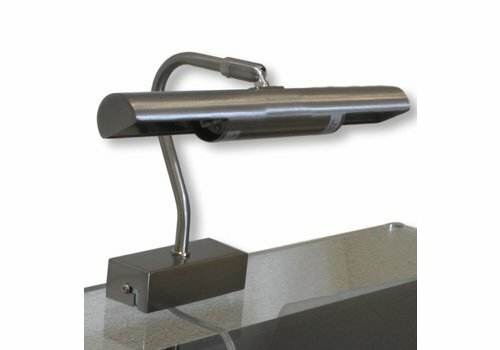 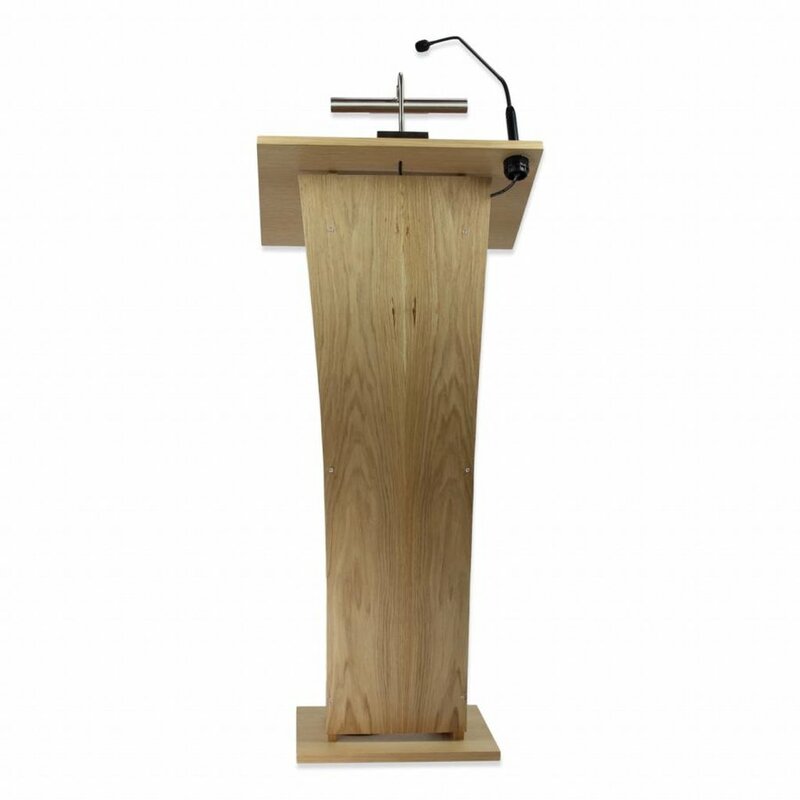 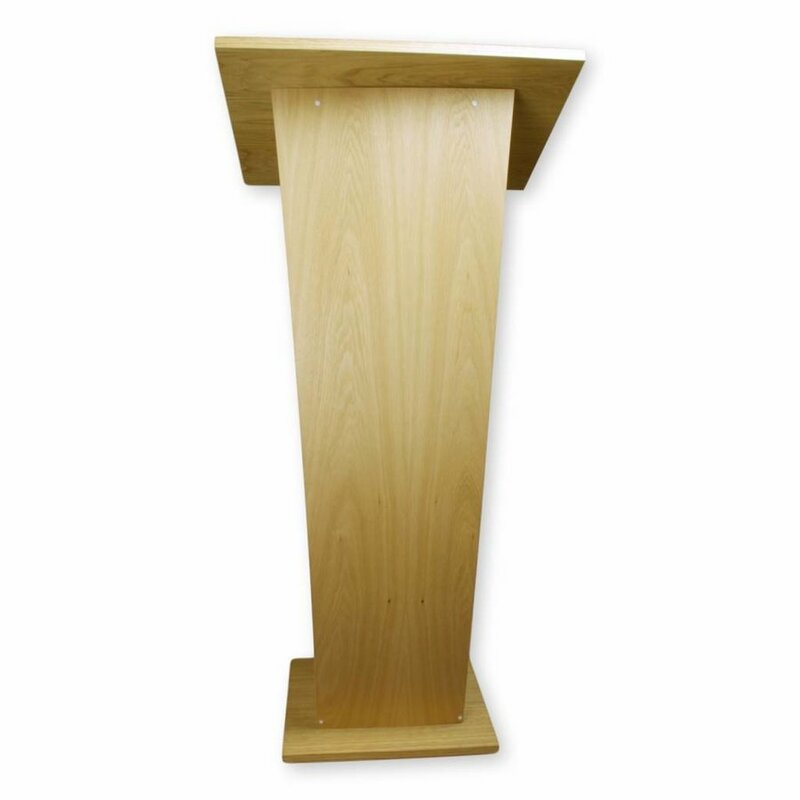 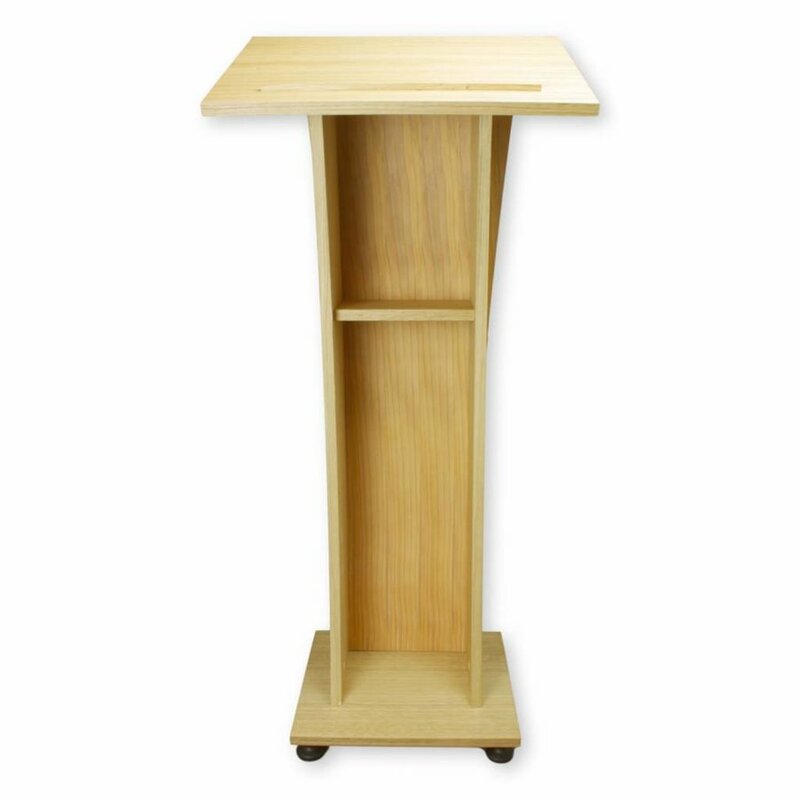 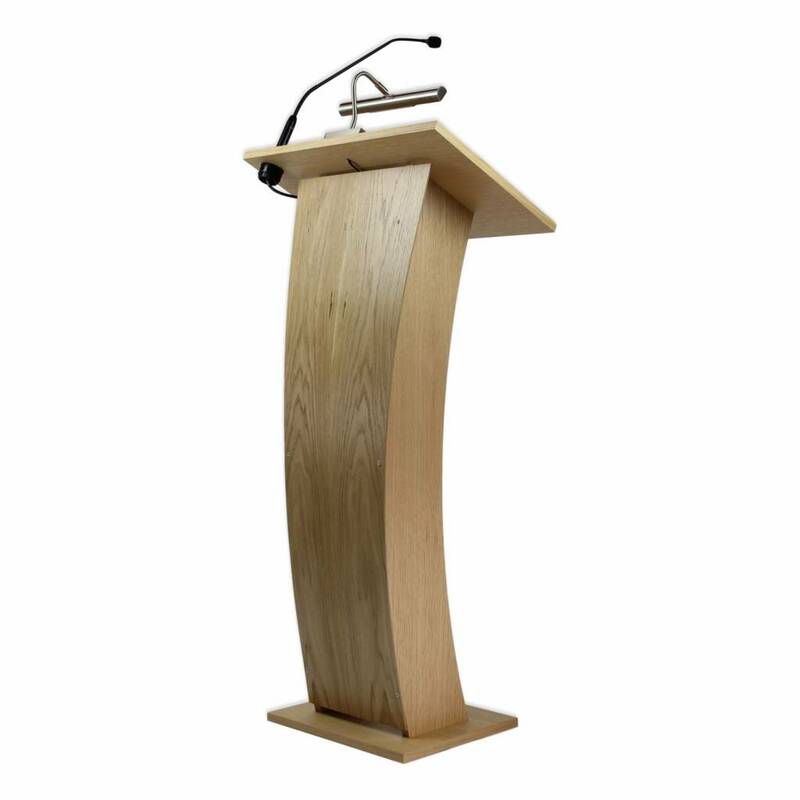 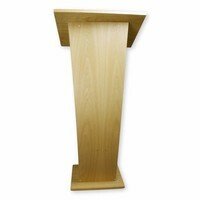 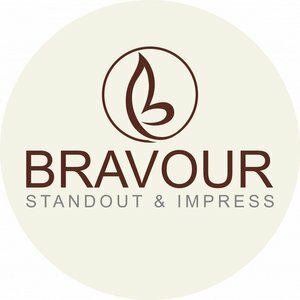 This lectern has a beautiful curved front side, on this panel you can bring on your own logo or company name. 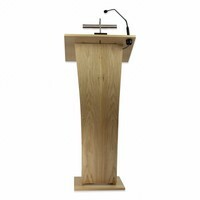 Beautiful lectern made in real wood veneered MDF. This lectern has a beautiful curved front side, on this panel you can bring on your own logo or company name. 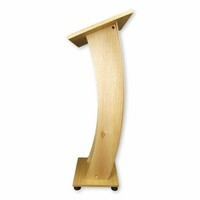 Our pulpits are assembled at delivery. 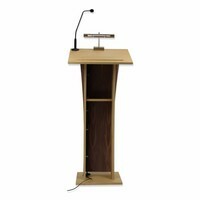 It is also possible to receive the pulpits as an assembly required package. 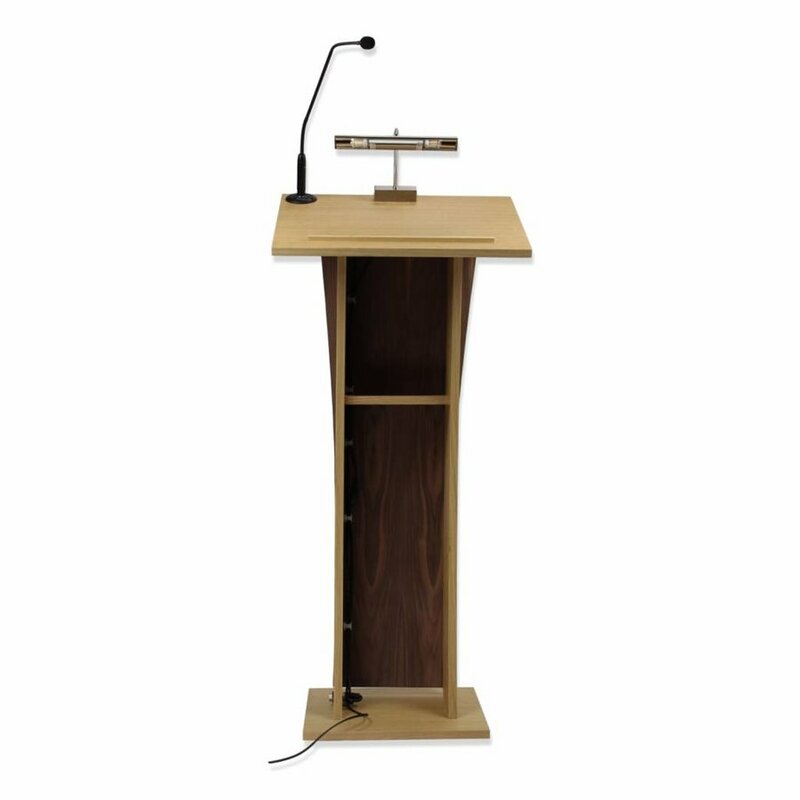 You assemble the lectern with all materials which are provided. 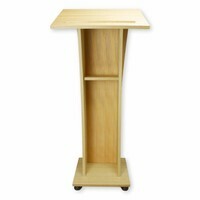 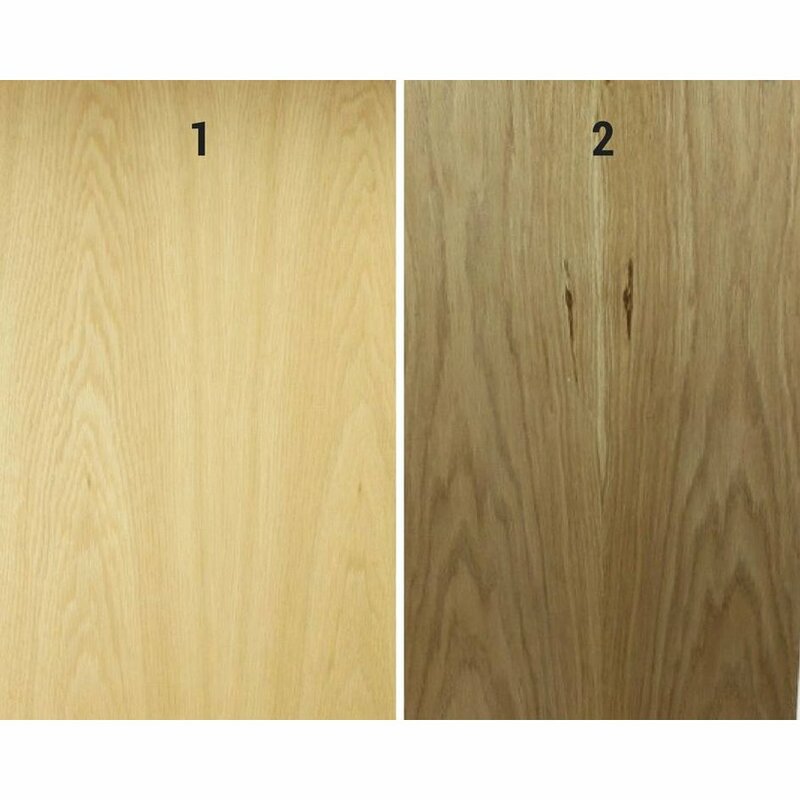 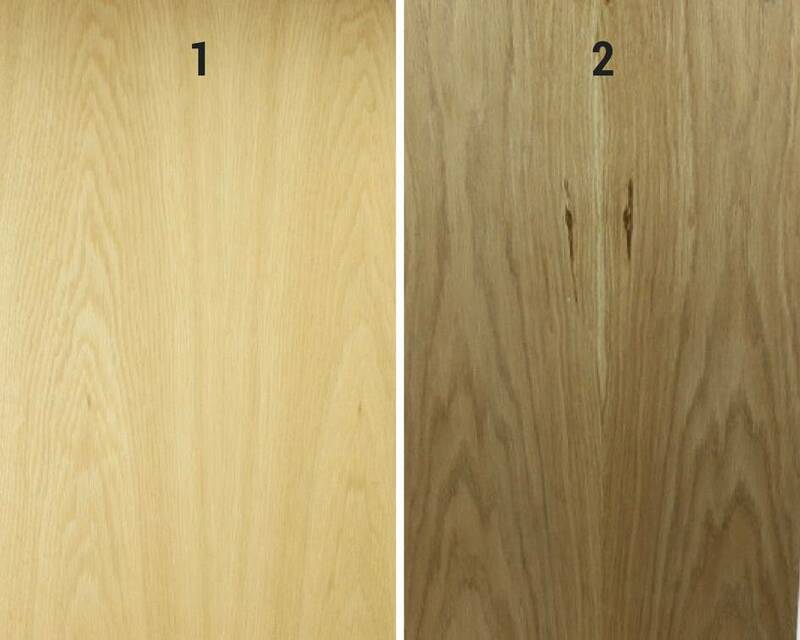 Equal to the principal of the world famous Swedish furniture store. Ofcourse you will benefit the savings of this possibilty. 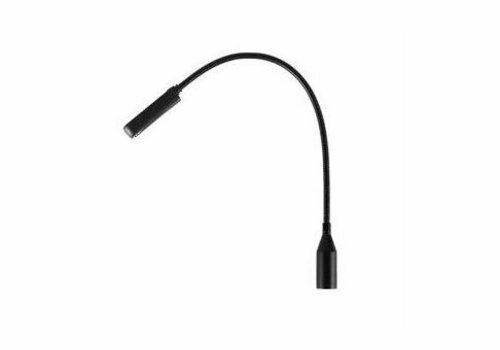 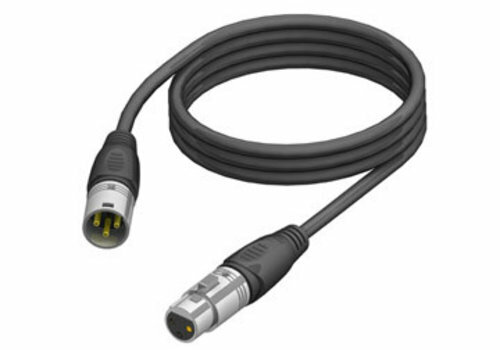 LED Gooseneck lights with 3 pin XLR connector . 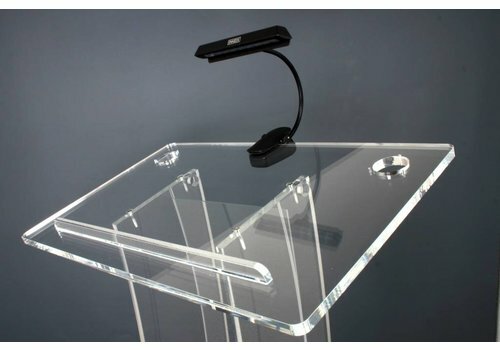 The flexible gooseneck lets you adjust it to fit any situation or space, whether it's a studio rack or part of a custom installation. 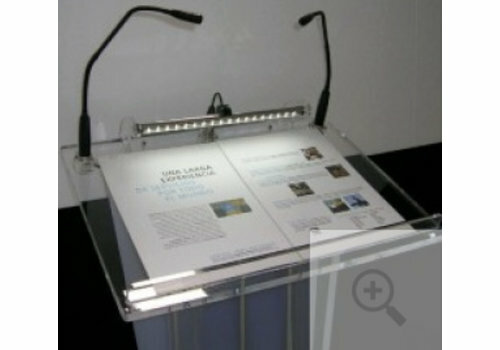 Led light for the reading journal of the pulpit. 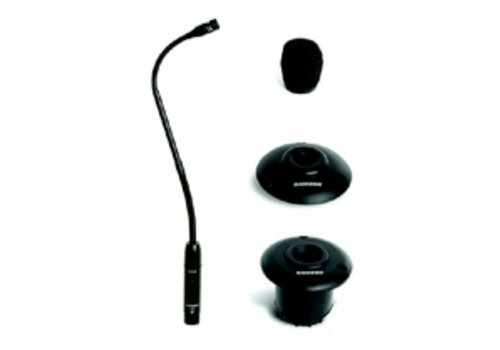 Clip-on system.